For a dog named Dice, luck was on his side. 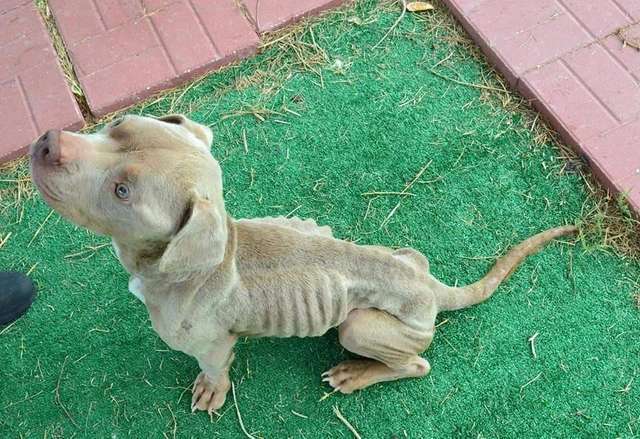 He had been dumped in a wire cage outside an apartment and left to die. 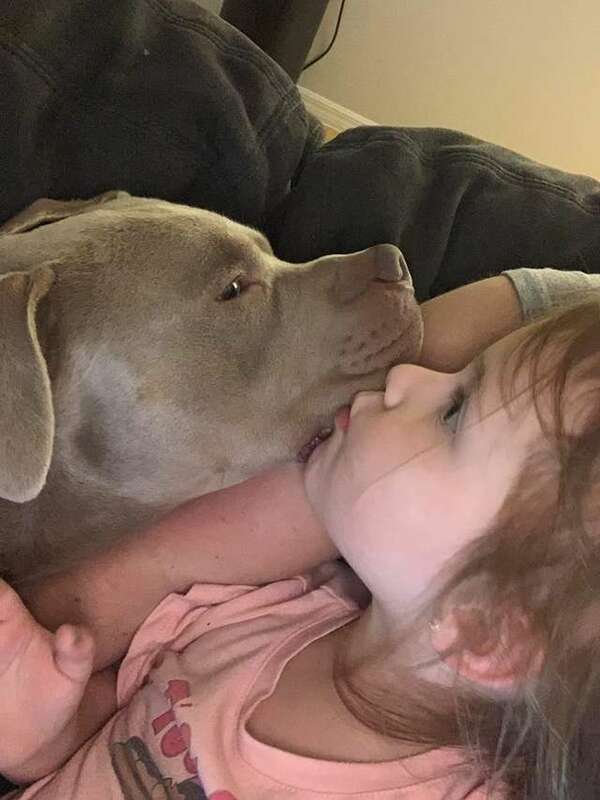 When police officers were in the area serving eviction notices, a group of kids alerted them to the three year old pit bull mix. When they found him he was skeletal: it was clear he had not been fed or cared for in quite some time. 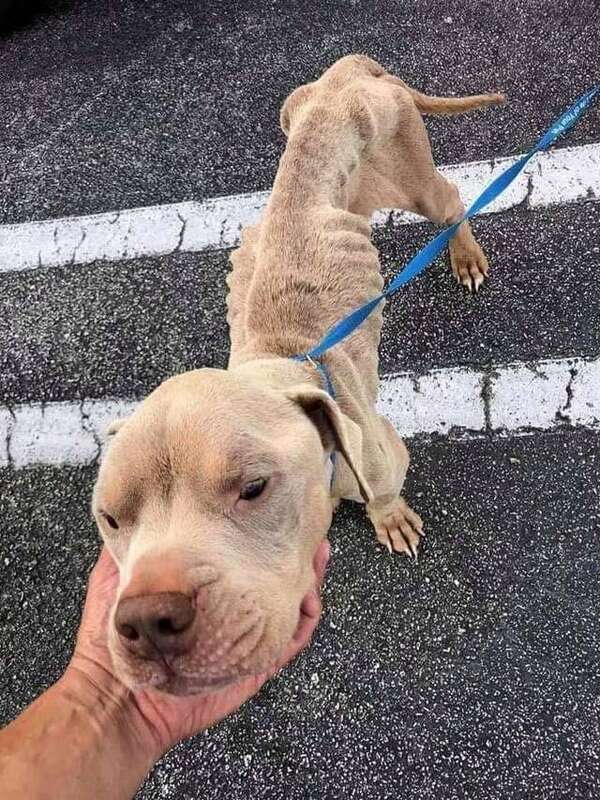 Animal control came to take Dice to the local shelter, where someone took photos and sent them to Tracey Godin, who runs Feeling Fine Rescue in Florida. She couldn’t believe her eyes and wasn’t sure how Dice was still alive. 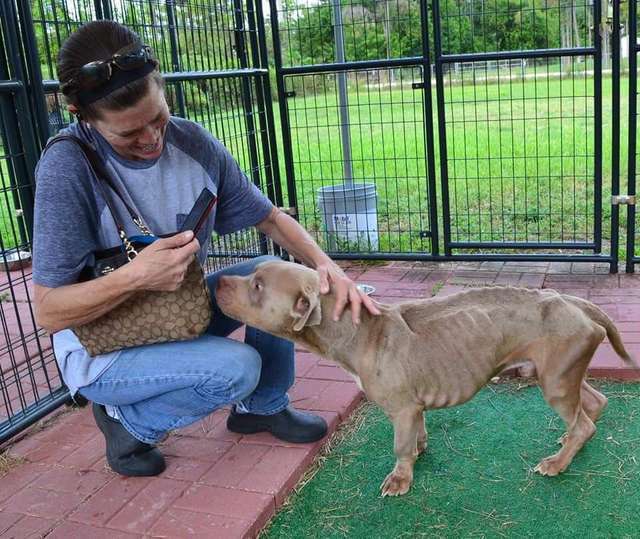 Tracey pulled him from the shelter the next day and took him to the vet. He was so weak he couldn’t walk without falling down from exhaustion. He weighed just 30 pounds, even though his ideal weight was around 65 pounds. 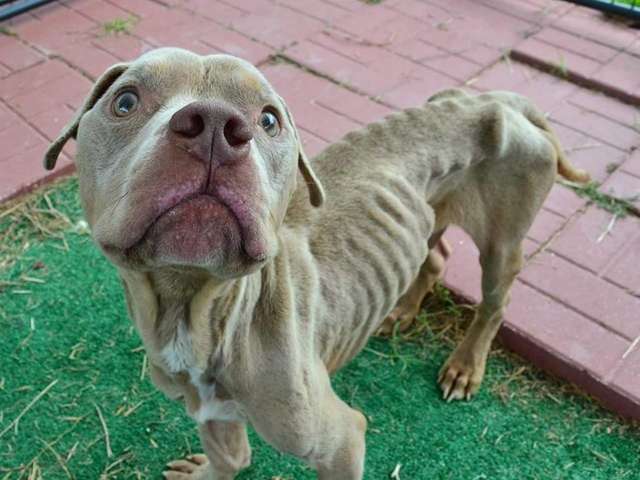 Dice was anemic and dehydrated and he had no muscle and his eyes were sunken into his head. Tracey believes he would have died if he was in that cage for one more day. Dice recovered at the vet, then headed to Feeling Fine Rescue. 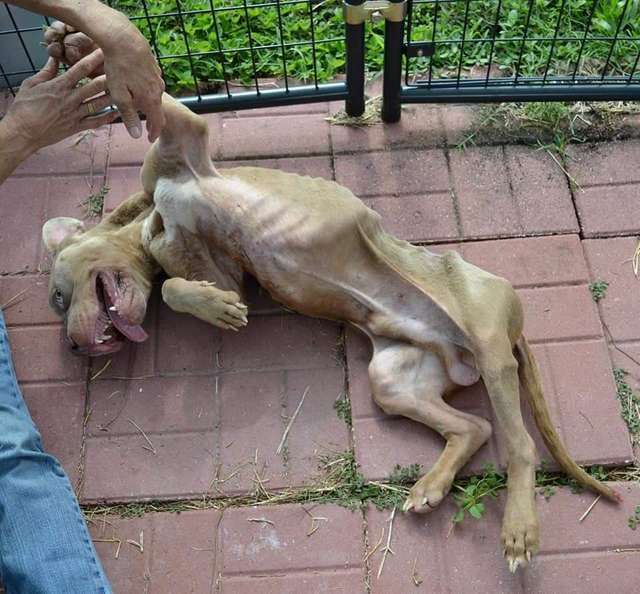 Within a week of being there, he gained 10 pounds, then two weeks later he gained 10 more. 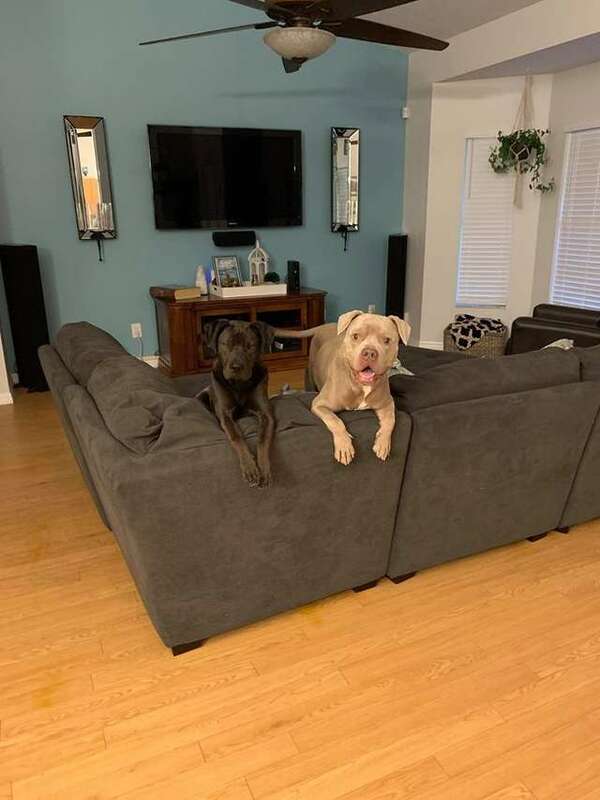 Soon, he was back up to 65 pounds and he was like a new dog. He began to smile again and his sweet personality soon emerged. 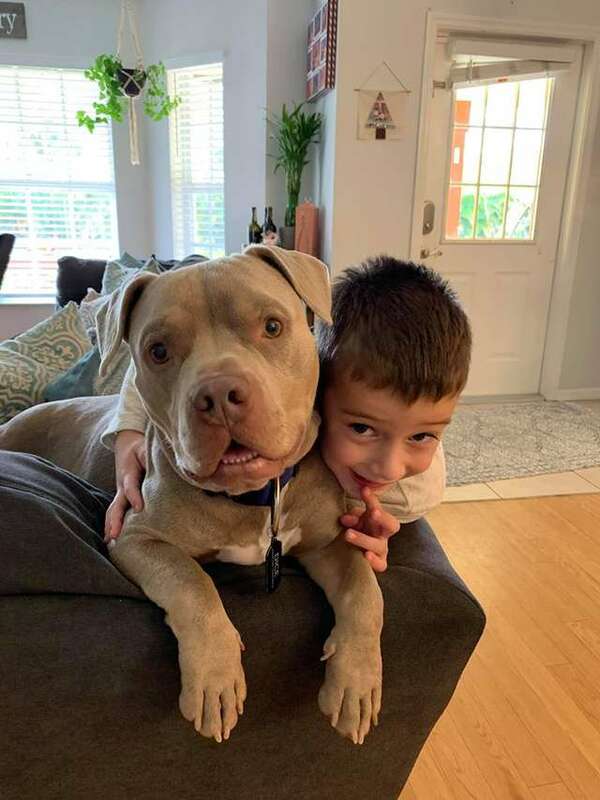 Then, the best thing happened: a family wanted to adopt him. So, Dice had a meet and greet with the family and their two other dogs. 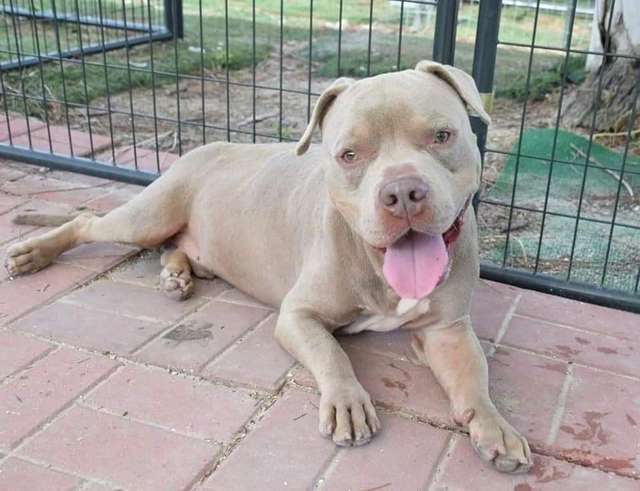 It was a major success: Dice loved the other two dogs and the family’s two little kids. 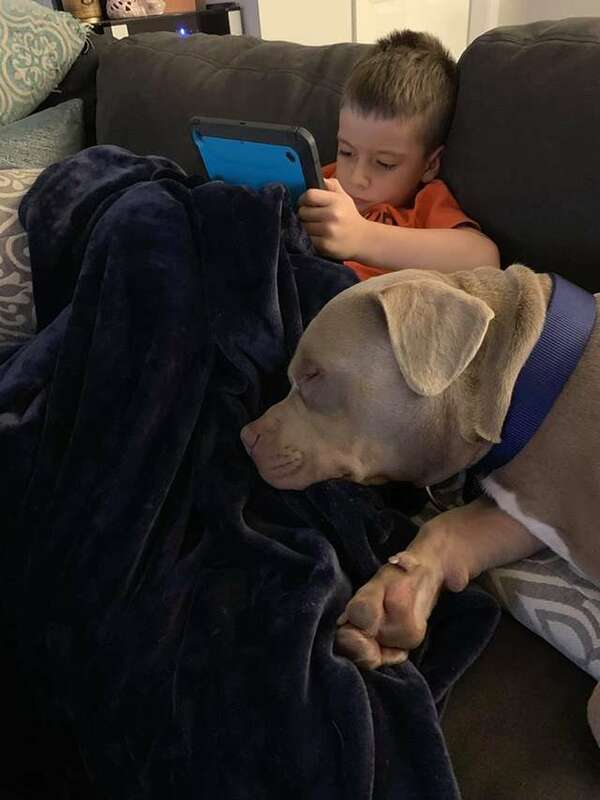 Two weeks later, he was adopted permanently into their home. 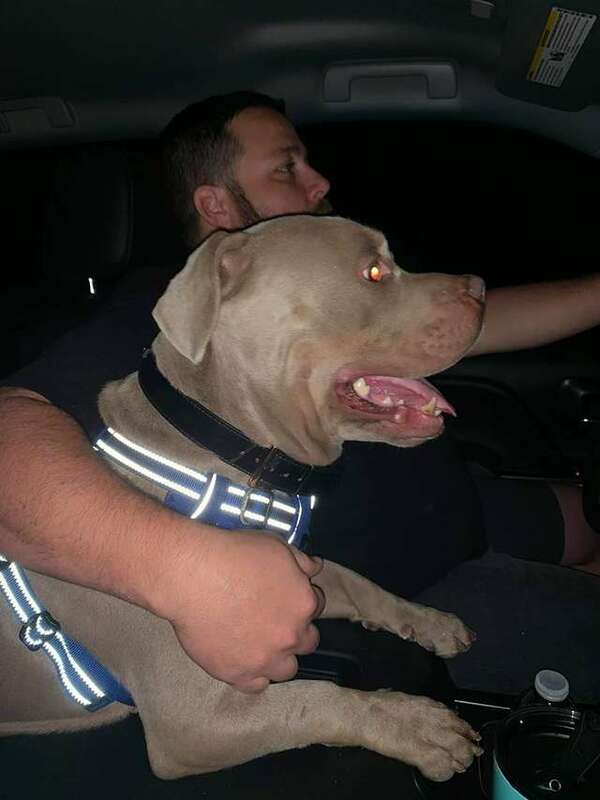 The family says it’s like Dice has always been a member of the family, he’s so loving and sweet with everyone. He never has to worry about being alone or being hungry ever again!